The third comic in this series highlighting the nine comics I posted on ti-ger.org, the sister site to stutteringiscool.com. Being a fan of newspaper comics and cartoons such as Looney Tunes means it’s inevitable that they’d be an influence on me. Like them, I tend to create a cast of characters. Chess was a human and token “cool dude” of the group. The idea for this comic came to me when a friend had told me how he would walk into random convenience stores and coffee shops on his way to and from work for the sole purpose of practicing his speech tools. 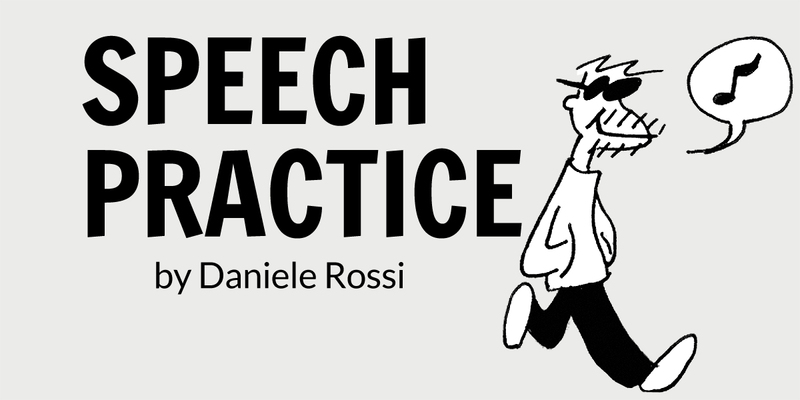 Practicing speech tools doesn’t have to be boring. It can be as fun as, say, meeting women!